Well, now. 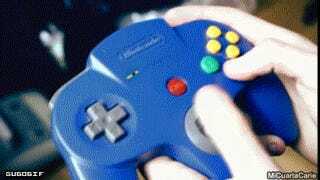 This .gif series gets a big ole George Takei "Oh my ..." It's just someone doing suggestive things to a Nintendo 64 controller, is that NSFW? Well, yeah, because I'd probably get arrested for showing it to a minor.